There are five parks located in Houston County. A beautiful park located in downtown Erin. A scenic, tree lined, walking trail has been made to follow the old railroad tracks. There are benches and water fountains along the way. At the heart of the park are restroom facilities, picnic tables and playground equipment for the children. Under the pavilion are plaques to commemorate those that worked on the railroads. A Boxcar and Caboose have been restored and are on display. Many of the community’s events are held here. The Relay for Life, Toys for Tots, Irish Day Events, 4th of July Celebrations, Lighting of the Town Christmas Tree and others are all centered here. Nestled in the corner of Midway Drive and Rocky Hollow, the Hensley-Midway Park has a small ball field, picnic pavilion, two basketball courts, and playground equipment for younger children, sidewalks and restroom facilities. It is enhanced with beautiful trees and ample shade. It is located where the W. H. Hensley School was situated form 1925-1965. Originally Hensley School was grade one through eighth. Later when grades nine and ten were added, the school name changed to Hensley Jr. High school. 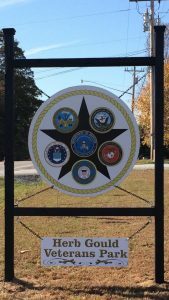 Dedicated on Veterans Day, November 11, 2016, the Herb Gould Veterans Park is located next to the Tennessee Ridge City Hall. 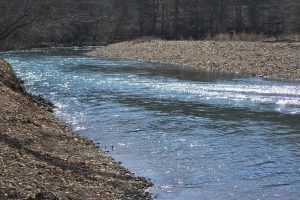 Located in Tennessee Ridge, it is one of the larger parks in our area. Host to three large baseball/ softball fields and concession stand, it stays occupied with many of the county’s Dixie Youth during the ball season. There are batting cages, picnic pavilion, playground equipment and tennis courts at this large park available year round. Rotary Park is in a well-shaded corner, next to Town Creek, off Highway 49. It is at the end of the parking lot to the Houston County Middle School. Two tennis courts are located there along with picnic benches, a pavilion and playground equipment.